CONCORD, NC Sep. 28, 2018: The combination of Rhino Assembly and The Tool House joins two extraordinary industrial distributors, very similar in size and culture with strengths that are highly complementary. This new entity will be a true combination of equals, enabling a more expansive portfolio of products and broader standardized services to its customers. Rhino Assembly Company and The Tool House have announced that they are joining forces. Founded 35 years ago in New Berlin, Wisconsin, The Tool House is the Midwest’s most reliable, customer focused power tool distributor, integrator and manufacturing partner. Similar to Rhino Assembly, The Tool House represents the very best solutions in assembly, material handling and material removal. Both Rhino Assembly and The Tool House excel in engineered solutions for their customers. Their team of engineers are motivated by delivering quality assembly options that range from manufactured custom solutions to an integration of products that utilize Industry 4.0 practices to create smarter manufacturing with the capabilities of delivering actionable data. 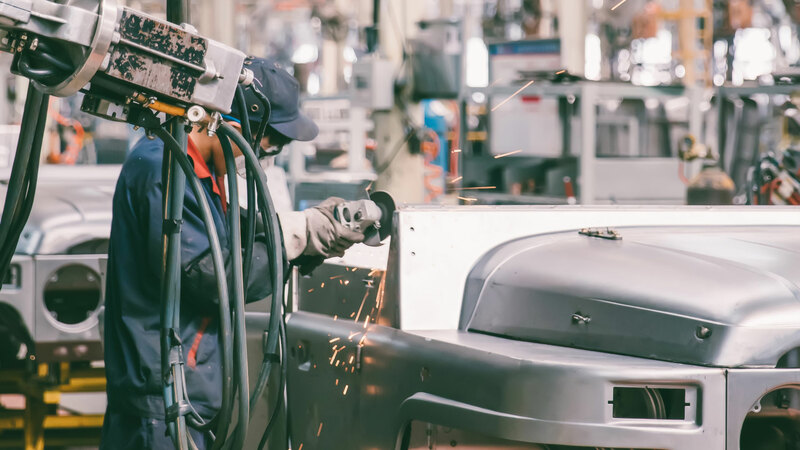 For customers, the blending of both companies will provide access to an extended network of technical experts capable of solving even the most difficult assembly applications while utilizing the most advanced products on the market. This will include opportunities for all customers to participate in on-going training sessions offered through Tool House U that provides information on the latest in manufacturing innovations, sessions on applied principles, and instruction on purchased tools/and or manufacturing software. In addition, customers nationwide can take advantage of Rhino Assembly’s ground breaking “Repair Tracker” technology, a repair management system that gives customers a 360-degree view into the repair process. Having both ISO 9001 and 14001 certifications for quality and environmental management, Rhino Assembly is a versatile organization that has the capability to both service and manage your project needs. Our technically trained staff is available to assist with ergonomic concerns, provide technical assistance, on-site application consulting, as well as solutions for worker guidance and quality control assembly processes. In addition, we are recognized as an ISO 17025 certified service center, servicing tools for customers across the United States. At our core, The Tool House holds an eye to the future with a service minded approach. We focus on developing a deeper understanding of our customers’ needs and building strong partnerships with our suppliers. This focus has allowed us to continuously educate our team on the latest innovative technologies while being able to match manufacturing and industry 4.0 solutions to the exact needs of our customers.